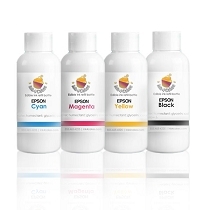 Edible ink refill for Epson, beautiful color and best value. 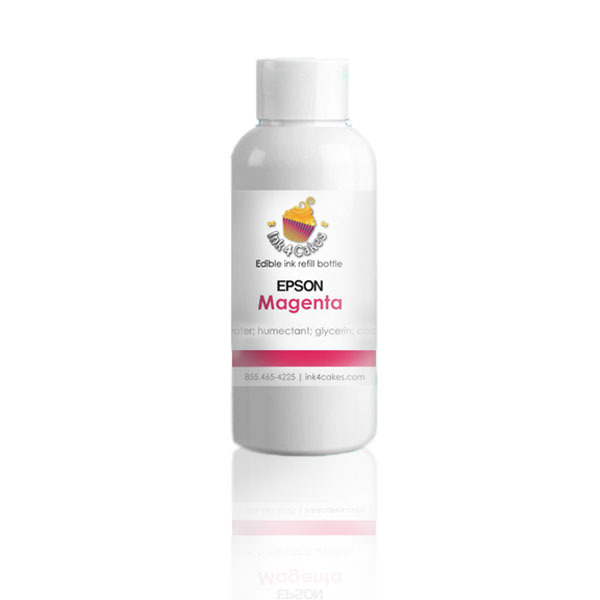 One 120 ml (4 oz)bottles of Magenta edible ink for Epson only. Yields 12-14 refills. 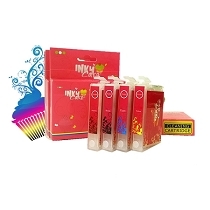 Ink4Cakes formula assures purity and high quality inks. 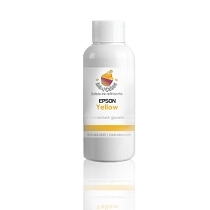 FDA compliant ingredients , Gluten and allergen free. 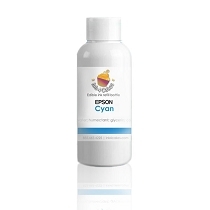 High Quality: Genuine Ink4Cakes formula, clean and pure. While this happen only once in 100 shipments remember that any leaked ink can be easily wiped off with a damp paper towel and used normally. 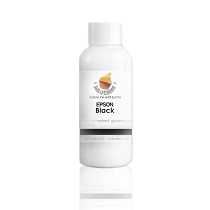 Each bottle is packaged individually to prevent ink from staining other items. We cannot guarantee the longevity of the ink cartridges when refilling. 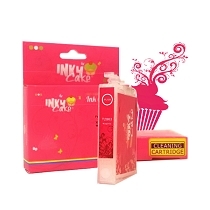 A cartridge, refilling tool or bottle with edible ink that has been used or refilled cannot be replaced for any reason. For your own and your customer’s safety, never use standard ink cartridges and edible ink on the same printer to avoid any contamination.